No nonprofit organization could survive without the support of community partners. Big Bend Cares is fortunate to have partnerships and relationships with quality businesses from Tallahassee and beyond helping us to achieve our mission every day. We couldn’t be more grateful. Our partners not only provide us with contracted goods and services and sponsorships, but they also believe in our mission, going above and beyond to support our agency in substantive ways that directly benefit our clients and the community. Supporting these businesses is supporting Big Bend Cares. We hope you’ll consider rewarding them for their generosity in helping to create a better, healthier, and happier Big Bend. Since 2004, Mail-Meds has used cutting-edge technology to empower patients with complicated drug regimens to improve their health. Delivering lifesaving drugs via the U.S. Mail isn’t just a convenience; for some, it’s a lifeline. Mail-Meds not only serves a great many of Big Bend Cares’ clients, but it also supports our agency in ways that are meaningful to our clients and community. That’s why we’re proud to have Mail-Meds as a valued partner in the fight against HIV/AIDS. 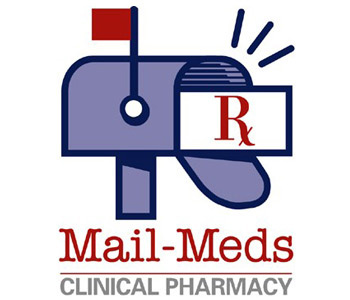 If you need meds, why not get them at Mail-Meds and support this outstanding community partner? Buying a car is stressful enough. Before you buy, consult AutoDataDirect. They have all the vehicle history reports and support services you need to be confident in your car buying decision – all at a price that simply can’t be beat. 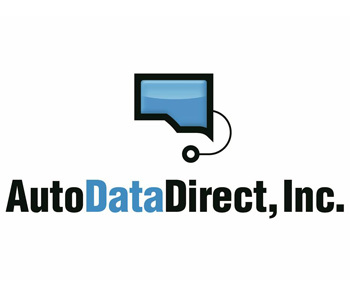 Big Bend Cares thanks AutoDataDirect for its generous support of Artopia 2015. With their help, we are on the road to a healthier community. Get in touch with AutoDataDirect before you buy a new set of wheels, and while you’re at it, thank them for supporting our community though Big Bend Cares. The international AIDS Healthcare Foundation, headquartered in Los Angeles, is dedicated to the proposition that all people deserve cutting-edge medicine and advocacy, regardless of their ability to pay. The Foundation’s work touches hundreds of thousands, if not millions, of people in the United States and 35 countries worldwide. 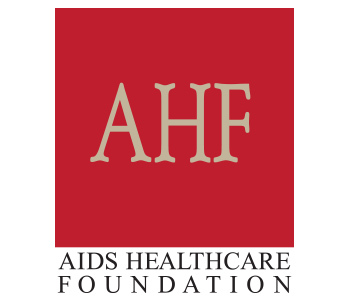 Big Bend Cares is honored to count the AIDS Healthcare Foundation among its supporters, and thanks them for their support of everyone living with HIV/AIDS. We are grateful to Centennial Bank for supporting Big Bend Cares. Our new partner is a customer-focused bank that provides a broad range of commercial and retail banking and related financial services to businesses, investors, individuals and municipalities. 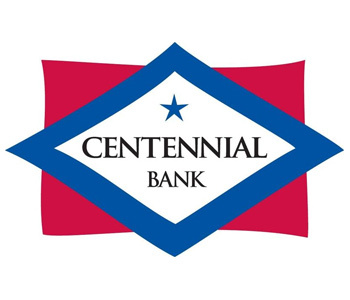 Centennial Bank has a long history of taking care of the communities in which they operate. We are honored that they have chosen to take care of us this year! 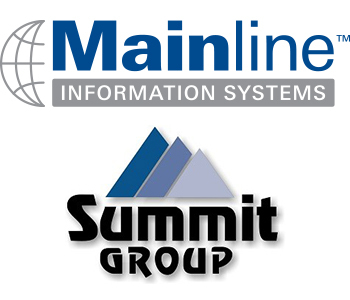 Mainline Information Systems and Summit Group have teamed up to support Artopia! Mainline Information Systems recommends, designs, and supports IT solutions that help businesses increase their effectiveness nation-wide. With numerous certified architects across various specialties, Mainline can assist with your most urgent and highly visible IT initiatives. Summit Group is an award-winning, Tallahassee-based real estate agency that is is committed to providing great service to make your buying, building, or selling experience a stress free one. From first contact to the signing of your purchase or lease agreement, Summit Group Commercial Properties will be by your side. Rogers, Gunter, Vaughn Insurance is an award winning full-service insurance agency, providing comprehensive insurance protection to businesses and families. RGVI is committed to creating a healthy community, both through providing quality insurance services and investing in our community through supporting Big Bend Cares. Big Bend Cares wants everyone to be safe. So does Redwire. Redwire is a team of security professionals that provides electronic security for commercial, institutional, governmental and residential clients for more than 30 years. We are proud to partner with an organization as dedicated to protection as we are. Big Bend Cares thanks Redwire for their support of our friends who are living with HIV/AIDS. Proctor Honda’s large inventory and wide selection of models, along with competitive pricing, allow them to make you a great deal on the Honda of your choice. At Proctor Honda, their goal is to assist you in making a confident buying decision. Their friendly, professional staff members are here to answer your questions and listen to your needs. Whether you’re shopping for a new or pre-owned vehicle, Proctor Honda is here to help with your search. 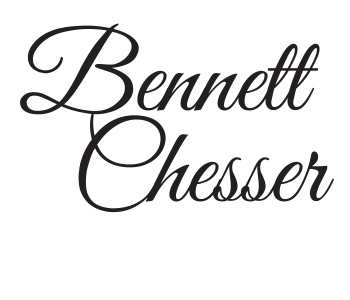 We thank Bennett Chesser for his ongoing generous support of Big Bend Cares. It’s rare to find an individual who is so thoroughly committed to a cause and a nonprofit organization over such a long period of time. We’re glad that Bennett has been that for us. As a pharmacist at Quincy’s Massey Drugs, Bennett has made a career of improving the health of area residents. He is enhancing his personal mission through his generosity to Big Bend Cares. Thank you, Bennett! Big Bend Cares is grateful for the continuous support of Gilead. Gilead is inspired by the opportunity to address unmet medical needs for patients living with life-threatening diseases around the world. Fabulous garments and style tips for our beloved Southern Misses. Yes, that is Loli & the Bean’s thing. But there’s more to L & B. They love and support the Florida Panhandle, and they live to share fashion and fun: Who could ask for more? Big Bend Cares wants to dress L & B up in our love. Thank you for your kind support, and the support of our friends in the Big Bend who are living with HIV/AIDS. 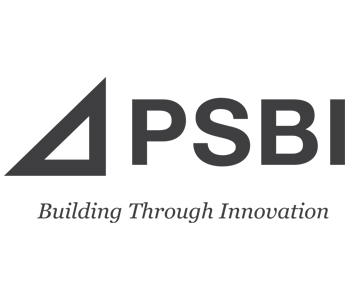 Based in Tallahassee, Florida, PSBI has provided General Contracting, Design-Build, Construction Management and Pre-Engineered Building services throughout the Southeast United States. Since 1974, PSBI has been defined by their commitment to exceeding each client’s expectations. Their mission, values and corporate culture are based upon this commitment to their clients. PSBI’s corporate culture creates a collaborative work environment with each team member being an integral part of the success of each project. Big Bend Cares is proud to partner with the professionals at PSBI. For over a decade, Agility Network Technologies has helped our clients achieve success by providing responsive technology consulting and support services. With a commitment to focus on the technology needs of small to medium businesses (SMB), we are to maintain long-lasting relationships with our clients and their changing technology needs. 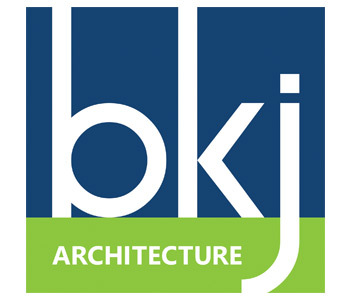 BKJ Architecture is a premier commercial architecture firm in offering timely, value added, forward-thinking designs, solutions, and services. BKJ believes every client is an opportunity to build a unique partnership. Big Bend Cares is thrilled to partner with BKJ! Architect Bonnie Johnson and her team are helping us grow, designing Big Bend Cares’ new facility to be located on South Monroe Street. Their design work not only will enhance South Tallahassee, but also will improve the lives of those living with HIV/AIDS in the Big Bend region. When you need architectural services, please consider BKJ. 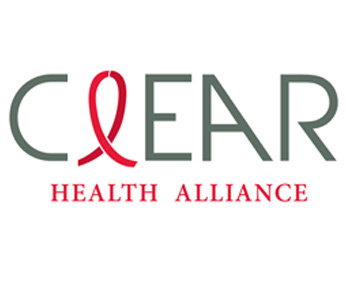 Big Bend Cares is honored to welcome Clear Health Alliance to our family of supporters. Clear Health Alliance assists people on Medicare living with HIV/AIDS. Members get care from a team of doctors and caregivers they can count on. The Clear Health Alliance team succeeds in connecting clients to services that help them the most. Learn more about our valued partner and the excellent services they provide, at their website. Florida Blue is our state’s premier provider of health insurance services. With a reputation second to none, individuals and families rely on Florida Blue to ensure they have access to the very best healthcare available. Through the Florida Blue Foundation for a Healthy Florida Sapphire Awards, they also demonstrate good corporate citizenship, supporting nonprofits statewide by rewarding superior healthcare programming. Big Bend Cares is honored to have a partner like Florida Blue in our corner. On behalf of our clients and stakeholders, we extend our sincerest thanks for their ongoing support. Since 1997, Full Press Apparel has been a premier supplier of high-quality custom screen-printing and embroidered apparel. Through a deep commitment to family and community, husband-and-wife team, Danny and Tracey, serve as an active supporter of area nonprofits. From custom T-shirts to promotional items to embroidery to design, Full Press Apparel is the place to go for imprint/identity materials. The beautiful products Full Press Apparel provides go a long way toward HIV/AIDS education and prevention. 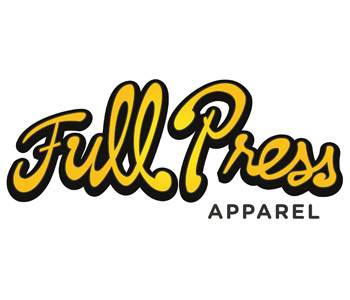 Big Bend Cares is grateful to Full Press Apparel for ongoing support. FBMC was originally created to provide underinsured Florida public schools employees with the benefits they needed. They have grown significantly to become an institution and innovator in the employee benefits industry in both public and private sectors nationwide. They are generous to our Tallahassee community, and we are proud to have their support for our annual HIV/AIDS Walk. 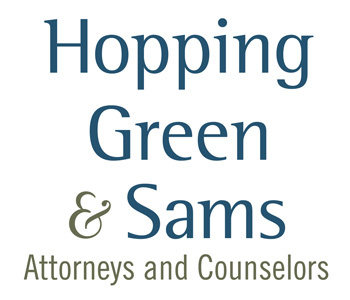 Hopping Green & Sams is an elite law firm serving the Southeastern United States for 35 years. With clients ranging from the statehouse to the White House, from county court to the US Supreme Court, to businesses small and large, Hopping Green & Sams is an award-winning law firm headquartered right here in Tallahassee. They are committed to giving back, making the Big Bend region the best it can be for everyone. Big Bend Cares is proud to count Hopping Green & Sams among our community partners. The counselors at Hopping Green & Sams care. Call upon them for your legal needs. 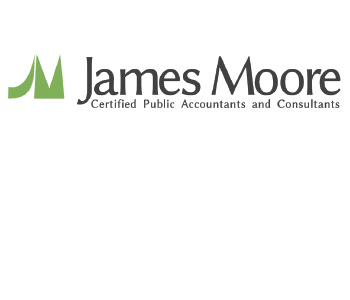 For more than 50 years, James Moore & Co. CPAs and Consultants has provided accounting, auditing, tax and consulting services to businesses. They also have a well-known and distinguished record of civic engagement in support of a better Tallahassee. Big Bend Cares is grateful to have the support of James Moore & Co., and we thank them sincerely for for their assistance in pursuing our mission to foster a healthier Big Bend region. LabCorps’ mission is to improve health and improve lives by delivering world-class diagnostic solutions, bringing innovative medicines to patients faster, and using technology to improve the delivery of care. LabCorp partners with Big Bend Cares to provide diagnostic services to our clients, and they also support Big Bend Cares through sponsoring our events. We are thankful for everything LabCorp does to keep our clients healthy! Matt McGuire entered real-estate business in 2005 after growing a love for architecture and earning a degree on the subject. Matt enjoys sharing his expertise and experience for selling, buying, and custom designing homes to his clients locally on the Emerald Coast and across the country. Matt is committed not only to improving our neighborhoods through his work, but also through his support of Big Bend Cares. NAI/TALCOR is a full-service North Florida commercial real estate firm. 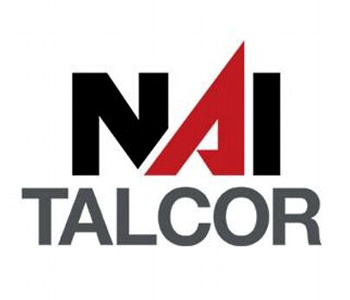 Located in Tallahassee, NAI/TALCOR isn’t just a real estate company. It is a great corporate citizen that supports causes that make Tallahassee the best it can be. NAI/TALCOR is a great partner in fostering a healthier community here in the Big Bend, and we thank them for their commitment and ongoing support. When your business needs a new home, visit the company that helps make our home special. Chronic diseases impose substantial clinical and economic burdens on the United States. 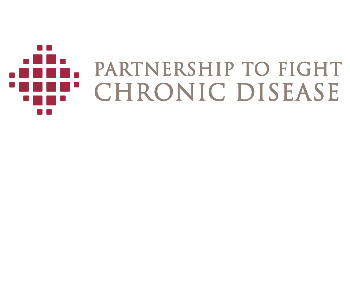 No one knows this better than the Partnership to Fight Chronic Disease. They also know that over the next 15 years, adopting healthy behaviors, developing better treatments, and improving access to high-quality care for chronic disease will result in trillions of dollars saved in America’s healthcare system. Big Bend Cares is proud to have earned the backing of this fine organization. A big thank you to the Partnership for recognizing Big Bend Cares as an organization worth supporting. As a former political consultant for multiple parties in Florida, Richard Reeves is familiar with a plethora of issues facing our community. Big Bend Cares is grateful that Mr. Reeves is giving focus to our cause while he continues to lend his expertise to public agencies at the local, state, and federal levels to advance their initiatives in the state capital. 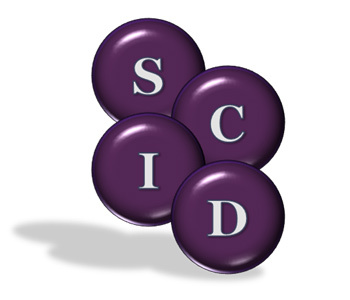 Established in 2006, the Southeastern Center for Infections Diseases, with locations in Thomasville and Tallahassee, is the leader in treating adult infectious diseases. A longtime business partner of Big Bend Cares, the Center has provided compassionate care for our clients with HIV/AIDS, contributing to the health and well being of our community. Big Bend Cares sincerely thanks the Southeastern Center for Infectious Diseases for their ongoing contribution toward our goal: a Big Bend region free of HIV/AIDS. Strategic Benefits Group combines years of experience with leading-edge products to provide exceptional service and value to their customers. They provide a full range of brokerage services including employee benefits and individual insurance plans. Big Bend Cares is proud to have the support of Strategic Benefits Group. When it comes to skill with a paint brush, Superior Painting has something in common with our Artopia artists. Nobody does a better job of painting Tallahassee than Superior Painting, and nobody cares more about or friends and neighbors here in North Florida. 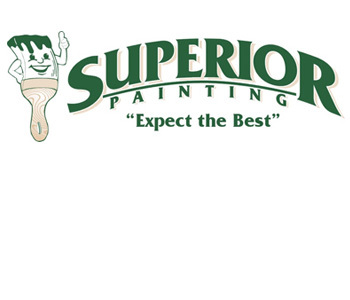 Thank you, Superior Painting, for your support of this very worthy cause. We are honored to have you in our corner as we pursue our mission to reduce the spread of HIV/AIDS in our community. Thomson Brock Luger & Company Certified Public Accountants and Business Advisors believes in the value of relationships. That philosophy obviously extends to its relationship with Tallahassee and the surrounding community. 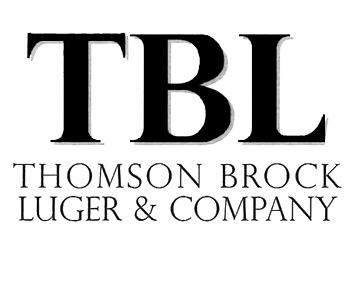 Big Bend Cares is thrilled to have the assistance of Thomson Brock Luger & Company, and appreciates their caring for everyone who calls the Big Bend home through their support of Big Bend Cares. Tallahassee Memorial Healthcare is committed to transforming care, advancing health, and improving lives in the North Florida and South Georgia region through their 772-bed acute care hospital, a psychiatric hospital, multiple specialty care centers, three residency programs, 32 affiliated physician practices and partnerships. TMH fulfills their commitment to our community by supporting Big Bend Cares, and we are grateful that Tallahassee and our neighbors can turn to TMH for their specialty medical needs. WCTV is North Florida and South Georgia’s first source for news, serving our area for over 60 years! They provide exceptional coverage of local news, weather, sports, elections, community happenings, and more. Most importantly, they provide premier coverage for Artopia! Big Bend Cares is grateful for WCTV’s commitment to sharing our causes with the community. Visit WCTV online at www.wctv.tv. American Audio Visual ensures that guests have a great experience at Artopia by providing excellent audio, lighting, and staging services. Their expert staff members have all the skills and tools necessary to suit the logistical needs and the desired mood of your event. 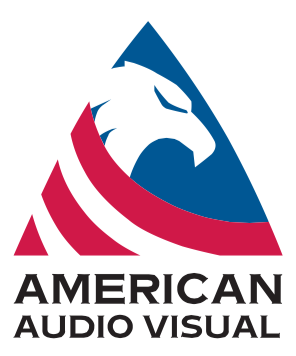 Make your occaison a memorable one by working with American Audio Visual! IMA JO Design Co. specializes in fresh and lasting floral designs, custom artwork, home décor, furniture refinishing, holiday decorating and more. IMA JO beautified our art galleries for Artopia 2018 with her stunning floral arrangements. Her floral arrangements are art pieces in and of themselves, and guaranteed to make a home or event all the more spectacular. Manor Auctions is an area leader in the field of appraising and auctioning fine art, collectibles, jewelry, timepieces and more. Manor Auctions also travels nationally for quality, large estate liquidations. Since 2007, Manor Auctions Owner Malcolm Mason has been providing pro bono live auction services to Artopia, fetching high prices for its best-in-show art. Big Bend Cares loves Malcolm and his crew for providing fun, profitable auctions that assist us in the fulfillment of our vital mission. Let Manor Auctions be your go-to auction house when you have something to sell. 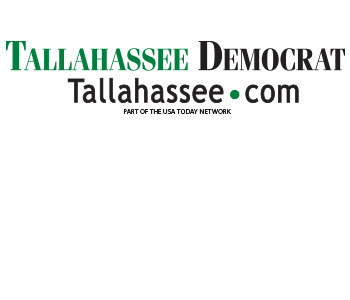 The Tallahassee Democrat is an institution in Florida’s Capital City. When they say they have the Big Bend Region Covered, they don’t just mean through their reporting. They also have our nonprofit organizations covered. Big Bend Cares is grateful to have, once again, the sponsorship of our capital newspaper. Thank you for joining the fight against HIV/AIDS. Know what’s happening right here at home. Read The Democrat. 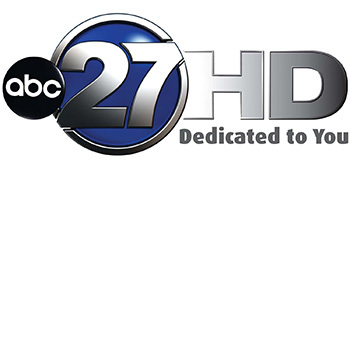 For nearly 40 years, WTXL Channel 27 has been a Tallahassee institution, leading the way in local broadcasting for everyone in the viewing area. In 2007, WTXL became the first television station in the Thomasville-Tallahassee market produce local news in high definition. It’s no wonder they see things so clearly. Big Bend Cares is also grateful to partner with Casanova Nurse to provide an amazing experience at Artopia through his emcee skills. We thank WTXL for their support of the Big Bend community through their support of Big Bend Cares. Blossoms Flowers, Tallahassee’s Premier Florist is centrally located in midtown Tallahassee at the corner of N. Monroe and E. Georgia St. They offer an exciting array of fresh flowers, unique gifts, custom silk arrangements, and gourmet baskets. 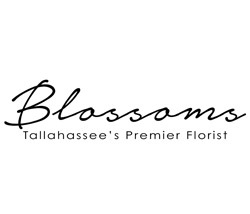 Locally owned and operated by Jesica Parker, AIFD and Lisa Metcalf, Blossoms is the proud recipient of 6 Tally Awards and has been voted “Best Florist” of Tallahassee for 15 years in a row. Blossoms can make any occasion special! 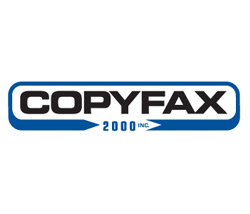 Copyfax 2000 is the area’s best provider of office automation technology since 1999, featuring top-of-the-line Konica Minolta equipment. They are the only company in Tallahassee with factory-trained technicians providing service and support to Tallahassee’s business community. Copyfax 2000 also has been a longtime supporter of Big Bend Cares and Artopia. We couldn’t be more appreciative of their commitment in the fight against HIV/AIDS. If you’re tired of machines that don’t work and waiting too long for service, maybe it’s time to check out Copyfax 2000. M. Gallery is the place to go for all your custom printing, matting, and framing needs! M. Gallery helps our community by donating their services for Artopia. They are experts at taking our beautiful donations to the next level, which creates even more support for our clients! We are honored to have M. Gallery in our Big Bend Cares Community. Since 1938 Tallahassee Nurseries has been a vital part of the Tallahassee Community. They beautify the Tallahassee Community with their flowers and trees, landscaping services, and gardening gifts, and create a stunning atmosphere with their centerpieces and plant arrangements. With a 30-foot stage and an intimate setting, listening is what J@M is all about. As Tallahassee’s only “Listening Room,” J@M also hears the needs right here in the community that supports them. Owners Russ and Josie have often given to local charities and actively volunteered for great causes. 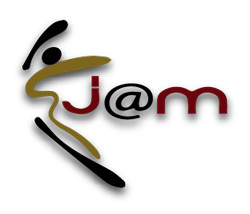 J@M is graciously providing sound services for Artopia 2016. Big Bend Cares thanks J@M for their assistance and generous support, and is honored to be among the charities to which they have chosen to contribute. Located in downtown Tallahassee, LeMoyne Center for Visual Arts’ beautiful gallery hosts the finest in local, regional, and national fine art exhibitions. Housed in an 1854 Antebellum home, you can feel the history the moment you walk through its doors. LeMoyne offers educational programs in addition to exhibits to ensure the arts remain alive and well in Tallahassee. Big Bend Cares grateful to count LeMoyne among its community partners and we extend our sincerest thanks for the support of this Tallahassee institution. 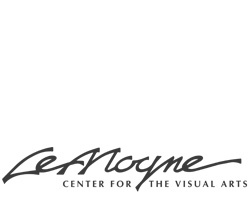 Visit LeMoyne Center for Visual Arts for the cultural experience of a lifetime. 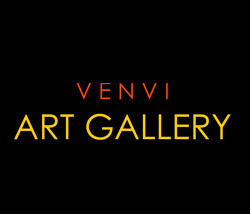 Big Bend Cares is pleased to welcome Venvi Art Gallery as a new partner. The gallery showcases local talent and presents the works of up-and-comers and masters alike. Better yet, they have made service to our community an art. We welcome them to our team of partners that have joined the battle against HIV/AIDS. Thank you, Venvi Art gallery, for helping Big Bend Cares pursue its mission of a more healthy and happy Big Bend Region. 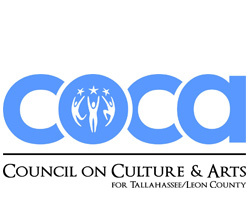 No other organization has done more to promote the arts in Tallahassee than COCA. Its membership includes non-profit and commercial galleries, museums, theatres, music groups, dance companies, festivals, film/video companies, historic sites, educational organizations, individual artists, and more. COCA’s goal? To support art and cultural events in Florida’s Capital City. Big Bend Cares thanks COCA for supporting our community through their support of Big Bend Cares. We couldn’t be more pleased to have them as a community partner. COCA’s website is the first stop to find out what to do in Tallahassee. You’ll be surprised at the range and number of choices you have. 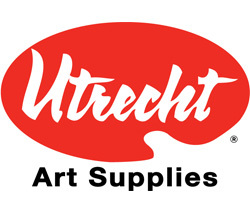 Utrecht Art Supplies is a Tallahassee institution, and their community involvement is second to none. Over the years, they have generously supported the Big Bend Cares Artopia art auction, and this year is no different. Big Bend Cares is grateful for Utrecht’s steadfast support. Year after year, they come through for every resident of the Big Bend. It’s corporate citizens like Utrecht that help to make Tallahassee such a wonderful place to live … and to create! For 30 years, The Frame Shoppe has provided custom framing for university diplomas and your treasured art. With locations at Governor’s Square Mall and Midtown (next to Whole Foods), The Frame Shoppe is the only business of its kind that provides quality custom mat cutting while you wait. Whatever you need framed, go see Hub Chason at The Frame Shoppe. You won’t be disappointed. The Frame Shoppe is offering a 25% discount on framing for artists participating in Artopia (learn more). The Frame Shoppe is a generous friend to Tallahassee for life, and Big Bend Cares is grateful for their help in making Artopia the best charity art auction in the area. 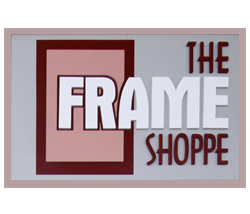 Make The Frame Shoppe your first stop when you need quality custom framing.